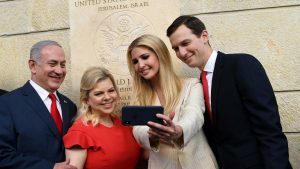 What are the arguments behind Trump’s Israel embassy move? The main news is the bloodshed on the Israel-Gaza border following America’s decision to move its diplomatic headquarters to Jerusalem. Uprooting the embassy from Tel Aviv is not a new idea. Successive US presidents have mooted it, but Donald Trump has made it happen.